Ever since former Microsoft CEO Steve Ballmer sweated through his shirt, yelling “Developers, developers, developers!” like a madman, Microsoft has focused on its cloud services and artificial intelligence. Only it didn’t do it under Ballmer. 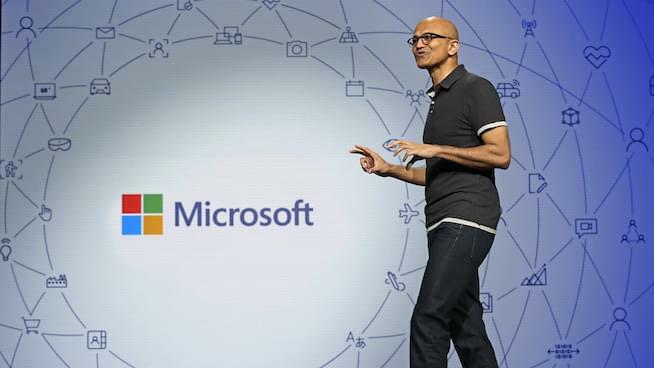 After he left, new CEO Satya Nadella embarked on his strategy and vision for Microsoft and, in four short years, he’s delivered an amazing return on that plan. This week, in segment one, we speak with veteran industry analyst, and friend of the show, Jack Gold about Microsoft’s stellar acquisition of GitHub, strategy-wise (developer-wise, they may have a problem). If you look at a satellite image of North Korea at night, you’ll see a few lights on in the capital city, and not much else. At all. Like, it’s pitch black. The persistent, outstanding need for solid, reliable and accurate data about North Korea remains however, even if the summit with the United States goes well. So, how do analysts pull together these files about such a secretive regime? We asked Melissa Hanham for some insight in segment two. She is a senior research associate at the James Martin Center for Nonproliferation Studies, as well as the Mixed-Methods, Evaluation, Training & Analysis (META) Lab of the Middlebury Institute in Monterey, California. She is an expert on weapons of mass destruction and the use of open source data to assess WMD capabilities and verify treaties. Plus, she also writes for Defense One. If foreign policy and military policy are your jam, then I highly recommend Defense One. Apple’s 2018 WWDC did not have any hardware rollouts, but the software came hot and heavy for every one of its operating systems. And there’s a lot riding on these software rollouts, too. Did Apple Watch move the needle for higher adoption? Is augmented reality a major play for the Cupertino company? There is a lot to unpack, so we dedicated segment three to asking analyst Bob O’Donnell from Technalysis Research to lend us his expertise as we try and summarize what went down at the company’s massive worldwide developers conference right down the street in San Jose. DNA kits for dogs are not some designer add-on for fussy pet owners. Veterinarians use DNA testing for health reasons; owners use them to find what breeds are involved and make predictions about future behavior, as well as size. Embark DNA is likely the leader in this field, building on experience and tens of thousands of DNA tests (with 99.99 percent accuracy, btw). Embark tests for 175-plus breeds, 200,000-plus genetic markers, 160-plus diseases and provides results on breed, genetic ancestry, health and physical traits by using a cheek swab. It also incorporates genetic mutation testing to determine your pet’s health conditions as opposed to cheaper tests that merely list conditions based on individual breeds, and Embark will update your results as new tests are added. In our final segment, we collared (couldn’t help it) the CEO and the CSO of Embark to help us flesh out the usefulness of their service. And, in the process, we found a sweet Father’s Day deal on testing, if you need to get dad something a little out of the box this year. Follow our Facebook page, or follow me on Twitter for additional live-updates!